Security attackers are constantly upgrading their techniques to make network attacks more difficult to detect with traditional measures. The security checks required to detect all of these attacks can overload your security products, but ignoring them can significantly decrease your network bandwidth. 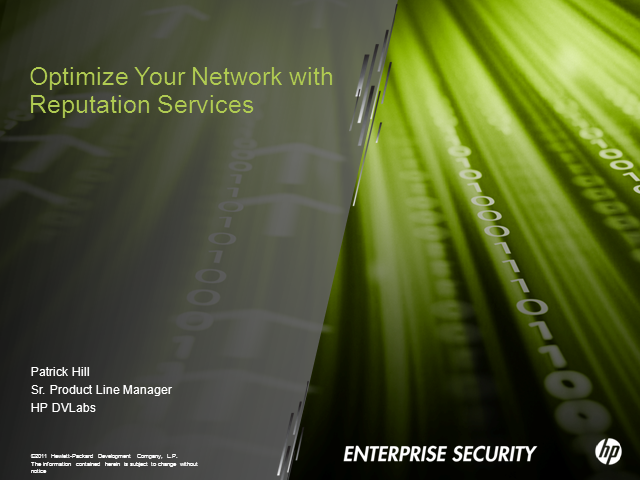 Reputation services enhance the security of traditional network security products by blocking access to areas of the Internet that compromised and delivering attacks on unsuspecting users. This provides a number of benefits to the organization including cutting down the amount of malicious traffic that must be inspected by the network device and cutting down on unnecessary traffic that is clogging bandwidth and slowing application usage. This presentation will highlight the security and network benefits of reputation services and the elements for finding the best solution.